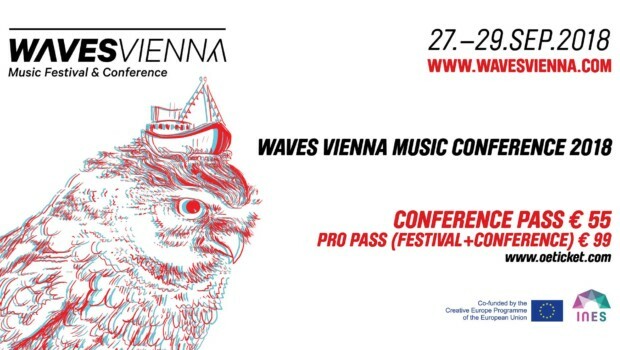 In September 2018, the Waves Vienna Music Conference, organized by Waves Vienna and Austrian Music Export, will take place for the eighth time. Hundreds of national and international music experts, organizers, label owners, bookers, and musicians will meet during the day for discussion and networking at Vienna’s WUK. In the evening, they will have the chance to see performances of around 100 new upcoming bands at the Waves Vienna Music Festival – 30 Bands from Austria among them. A wide range of topics is on offer for this year´s Waves Vienna delegates. The conference programme will once again address current issues in the music industry and invite music pros from all over the world to Vienna. Public radio broadcasters from Portugal, Slovakia, Poland, Lithuania, Slovenia and Bosnia and Herzegovina will question the importance of radio and its current transformation with Austrian media professionals. Pia Hoffmann (Music Supervisor, DE) and Dan Koplowitz (Friendly Fire Licensing/US) will discuss sync placements and their impact on artist careers with Jürgen Distler (Ink Music, AT). A special workshop held in German helps young local artists and their promotion/management teams to optimize their social media personas and DIY-strategies. Several meeting sessions will bring the local scene closer to international festivals, journalists and the delegations from this year´s partner countries, Portugal and Slovakia. Participants not only include some of the most important festivals on the European circuit, but also festival members from the INES programme and neighbouring events Pohoda (SK) and Sharpe (SK), Sziget (HU), c/o Pop (GER), Ment Ljubljana (SLO) and Pop-Kultur Berlin (DE). Highlights also include receptions by Swiss Music Export, SoundCzech, HOTS – Hungarian Oncoming Tunes and of course by our focus countries Portugal (Why Portugal) and Slovakia (LALA Slovak Music Export). For the second time this year, the music export award “XA” will be presented as a part of Waves Vienna. A panel with last year´s winner, the Austrian band Cari Cari, will discuss the impact of the award and the export strategies linked to it. The well-loved listening sessions will again offer a chance for young artists to present their music to an international panel of experts. Speakers this year include delegates from PIAS, Deezer, Ugop Records, Community Promotion, Selective Artists and more. The book “Music Business Research. The Foundations of a New Scientific Discipline” has recently been published by Peter Tschmuck, Beate Flath & Martin Lücke with Springer VS. In 8 chapters, authors from different scientific disciplines offer their views on the methodological foundations and methods of the new inter-discipline music business research. The official opening of the 2018 edition of Waves Vienna. We’re happy to serve you food and drinks from our two focus countries, Portugal and Slovakia. Let’s start the second day of Waves Vienna 2018 together! Initiative Musik warmly welcomes you to meet the German artists at Waves Vienna for a musical breakfast. In an exclusive speed meeting delegates get the chance to meet some of the up-and-coming bands from Germany – watch the festival program for the German Acts. Initiative Musik is the German funding and export office for pop, rock and jazz music. International professionals give constructive feedback on fresh acts with international potential. Speakers: Mattias Albinsson (Headstomp, SE), Jozsef Halmen (Stairway Booking, RU), Alexei Kutuzov (Minsk Festival, BY), Edo Plovanic (Muzika.hr, HR), Andreas Pese Puscher (Selective Artists, DE). Host: Rainer Praschak (mica – music Austria, AT). Apply here! How important are music blogs the career of young musicians? How do you reach out to music blogs and ensure to get your music reviewed? Find out more about the rich and lively Slovak music scene. Networking opportunity with key players of the Slovak music market, facts & figures, country presentation. Find out more about the rich and lively Portuguese music scene. Networking opportunity with key players of the Portuguese music market, facts & figures, country presentation. Come check out the Slovak talent! Papyllon will showcase their unconventional acoustic take on rock, pop, metal and jazz. Along with it, people from LALA Slovak Music Export will prepare secret Slovak recipes for lunch (not only Tatratea, don’t worry). Some free tickets for SHARPE festival 2019 might be handed out too. In 2017, the XA -Export Award was presented for the first time as part of the Waves Vienna Festival. Out of a field of nominees, Cari Cari was picked as the winner by an international award jury. In addition to a monetary reward, the winner is supported by the award partners Austrian Music Export, Radio FM4 and Waves Vienna. 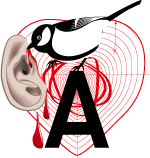 Together with Cari Cari and their booking agency ink Music, we examine the long-term effects of the award, joint international strategies of the award partners and how the band´s career has developed in the last year. International professionals give constructive feedback on fresh acts with international potential. Speakers: Ineke Daans (PIAS, BE), Koen ter Heegde (Yogufuturism, NL), Oswald Mavoungoud (Ugop Records, FR), Richard Wernicke (Deezer, DE), Dirk Wilberg (Community Promotion, DE). Host: Rainer Praschak (mica – music Austria, AT). Apply here! Radio, and especially European public service media, can play an important role in the development, the discovery and the internationalization of artists. But what exactly is the national and international impact of radio stations on the career of upcoming artists? How important is the development of homegrown acts for the profile of radio stations? And how did the boom of streaming services affect the significance of radio stations – and how do they react? Join us on our annual reception in Vienna, where we’ll celebrate the new generation of talented Hungarian songwriters along with local professionals from various sectors, and, for sure, the acts who’ll play during Waves! Antonia Vai, Mörk and Fran Palermo are ready to earn your attention while we serve some bits and drinks in the meantime. Closed meeting for selected applicants only. International music professionals tell personal stories about their career and respond openly to your questions in an intimate Q&A session. Young artists often feel an increasing need for self-marketing and entrepreneurship besides touring and recording, while the live music industry is notorious for high-pressure jobs with irregular hours. How is a music career compatible with family life? What kind of social responsibility does the industry bear itself? Are there existing projects or initiatives dealing with these issues? Learn more about the International Network of Showcase Festivals and who’s in the network. One of the very first projects of SoundCzech (Czech Music Office) was co-organizing last year’s successful Czech focus during Waves Vienna. Now, a year later we are eager to continue that friendly, and effective collaboration by hoping it will also start a yearly tradition where you dear delegates can get connected to Czech professionals, receive informations about the most actual artists and can enjoy a beer together. Swiss wine, finger food and music – Swiss Music Export in cooperation with FONDATION SUISA and the Swiss Embassy in Vienna is once again presenting a “Swiss Business Mixer” for music fans and professionals. Our live act this time around will be the fearsomely intense guitar/drums/pedals Blind Butcher. Please register by Wednesday 26 September. Long story short: 6.45pm is just the right time for THE networking brunch of the Waves Festival with Weissbier and Southern German finger food at WUK Beissl. The Southern Germany reception is hosted by the Federation for Pop-Culture (Verband für Popkultur in Bayern e.V.) and Popbüro Region Stuttgart. Verband für Popkultur in Bayern e.V. represents more than 100 bavarian venues, organizers and festivals. Like its Bavarian counterpart, Popbüro Region Stuttgart is one of the three leading public institutions for pop culture and popular music in Germany. No matter if Beer-to-Beer or Business-to-Business – you know what’s in for you! Following the reception, we proudly present the Bavarian Newcomer [LEAK]. Eine eigene Geschichte konsequent zu erzählen ist in Zeiten von Social Media und DIY-Promotion das Um und Auf für die Medienarbeit von jungen Künstlern. Gerichtet ist der Workshop an weibliche (Nachwuchs-)Musiker*innen und deren Promoter*innen und Manager*innen. Anhand von Beispielen wird gezeigt, wie eine individuelle Story aufgebaut und kommuniziert und persönliche Zurückhaltung oder Angst vor einem Shitstorm abgelegt werden kann. In einem praktischen Teil gibt es Input zu Interviewführung, Kameratraining, Feedback zur Körpersprache und vieles mehr. Creative Europe is the European Commission’s framework programme providing financial support for the European cultural and creative sectors. Cooperation projects encourage organisations across Europe to work collaboratively with the aim of developing capacity and reaching new audiences. Come by and see who won the 2nd XA Music Export Award! The winner will be awarded 3,500 Euros in cash (donated by SKE Fonds/Austro Mechana) and will be supported by Radio FM4, Austrian Music Export and Waves Vienna for one year. The awarded will be handed over by last year´s winners Cari Cari. The 9 nominees of 2018 are: Dives, Dramas, Kids N Cats, Like Elephants, Mickey, Please Madame, Pressyes, Thirsty Eyes and Viech.